My new life - retired and full time! Discussion in 'Let me tell you about my trip' started by pudge, Aug 24, 2018. We did a bracket night at Houston with our rental cars once years ago. I picked up 2ths by taking the air filter off!! I only put 38 miles on the car. A 1/4-mile at a time! Today was the tour of Fort Detrick in Frederick. We use the web site “Atlas Obscura” to find unique things in our location, things outside the regular ‘touristy stuff’. Well one of the 15 items listed for my location is the “One-Million-Liter Test Sphere”. This must have been in Atlas Obscura before 9/11 when a lot of bases were more open to the public. 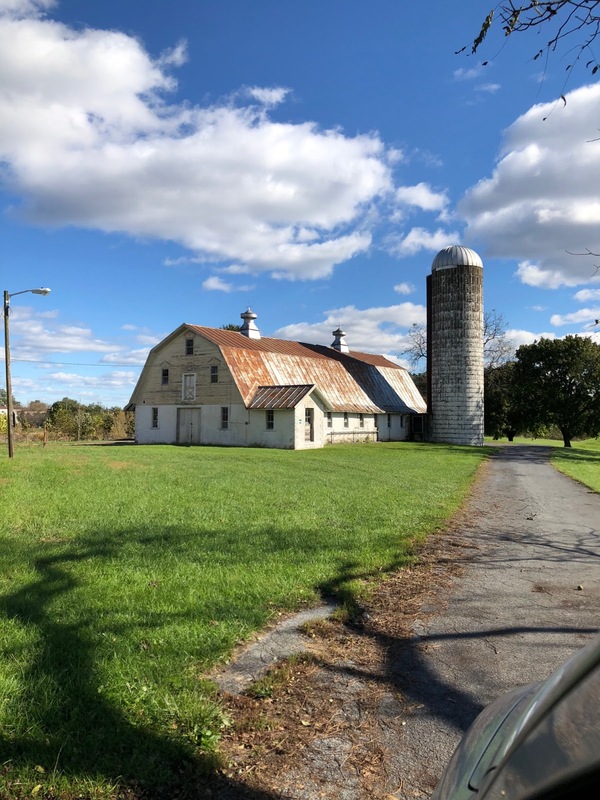 This seems reasonable since Fort Detrick also has the Nallin Farm which is the National Register of Historic Places and would have likely ‘opened’ to the public to promote those sights (as well as reduce operating costs). Fortunately I am retired military so I retain access to military bases. 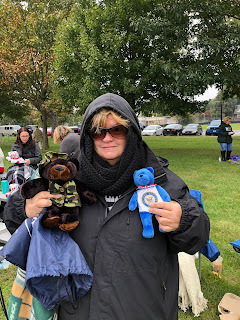 Fort Detrick does not allow photography inside the fence line so all photos used in this post are taken from public domain. The One-Million-Liter Test Sphere was not that easy to find, even with GPS coordinates. It is currently a little rustier than this picture shows and its visibility from street level leaves a lot to be desired. The One-Million-Liter Test Sphere—also known as the Test Sphere, the Horton Test Sphere, the Cloud Study Chamber, Building 527, and the “Eight Ball” (or “8-ball”)—is a decommissioned biological warfare (BW) chamber and testing facility. It was constructed and utilized by the U.S. Army Biological Warfare Laboratories as part of its BW research program from 1951 to 1969. 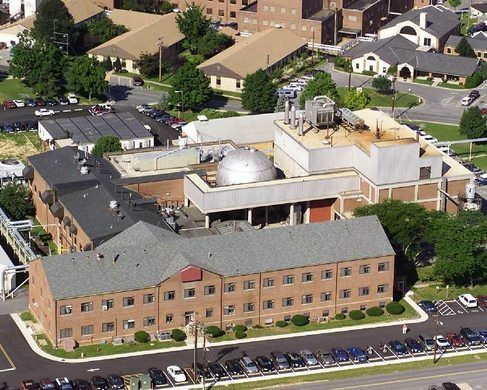 It is the largest aerobiology chamber ever constructed and was placed on the National Register of Historic Places in 1977. The sphere was used most notoriously during the Operation Whitecoat study that began in 1954 (shortly before the start of the Vietnam War). This biodefense medical research program was carried out by the United States Army using volunteers who were all conscientious objectors. These volunteers included many Seventh-day Adventists who wished to remain noncombatants but still help with the war effort. The purpose of the research, they were told, was to help defend troops and civilians against biological attacks. Whether that was entirely true and no offensive capabilities were being tested is open to debate. But many vaccines that are used to protect against biowarfare agents and viruses were first tested on human volunteers during Operation Whitecoat. And despite years of volunteers being hooked up to “The 8-Ball” and breathing in infected air, none died, at least during the test period. The point of all this was for the aerobiological study of “agents highly pathogenic to man and animals,” including nasty airborne biological weapons. “Hot” biological bombs were detonated inside the sphere, and the pathogen-filled munitions were tested in various ways. What happened to the majority of the volunteers after the tests is largely unknown. Of the 2,300 volunteers who took part in the various tests, the army has addresses for only 1,000. And of that 1,000, only 500 of the Whitecoats, as the volunteers became known, were ever surveyed after the tests had finished. The 8-Ball is a 40-foot-diameter steel sphere with a one-inch-thick carbon steel hull and a one-million-liter total volume. Total weight: 131 tons. Around the equator of the sphere were a series of access ports and test chambers. Some of these cabinets were for sample collection and for exposing small animal species, up to the size of a monkey, to the pathogens. Another access port was for the whole-body exposure of larger animals, including sheep and goats. A further four exposure cubicles were designed specifically for exposing human volunteers via masks. For most of its operational existence it was enclosed within a 60-foot cube-shaped building sheathed in metal. The sphere itself was gas tight and climate controlled, and the entire complex routinely rated on a slight negative pressure so that any leaks would only allow clean air to enter, rather than allowing contaminated air to escape. In 1975, the building housing the sphere burned down, but the sphere was largely undamaged. Today, it sits nestled and exposed between buildings at Fort Detrick, a decontaminated and decommissioned relic of the Cold War. Due to its historic significance, it was placed on the National Register of Historic Places in 1977. The Nallin Farm was incorporated into Fort Detrick upon the post's expansion in 1955. It was added to the National Register of Historic Places on May 23, 1974. The Federal style brick farmhouse was built in stages between the 1780s and the 1830s and serves as the residence of the Fort Detrick commanding officer. It is known on post as "Building 1652". 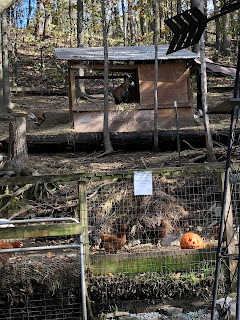 The Nallin Farm Springhouse and Bank Barn are closely associated with the Nallin Farm House. 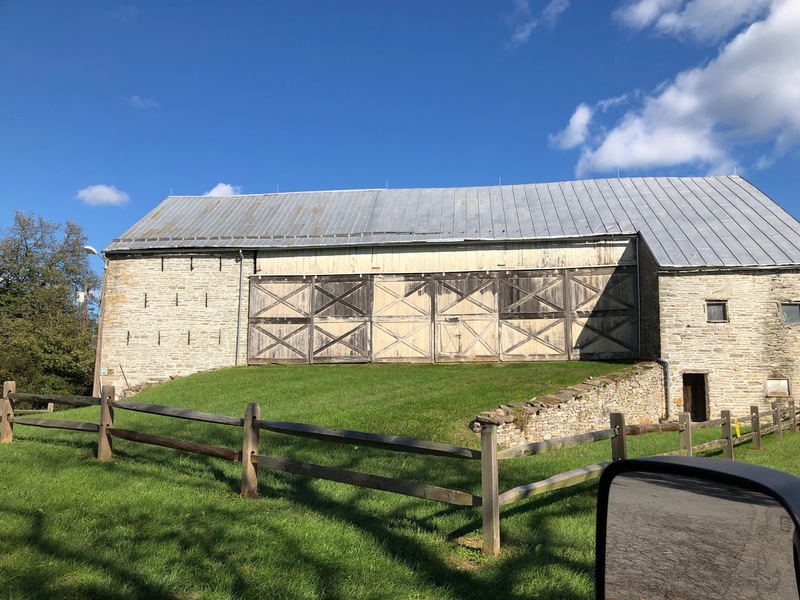 The barn is a good example of a fieldstone-built bank barn with a byre on the lower level and an earth ramp on the opposite side providing access to a haymow. 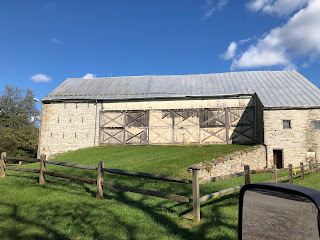 A bank barn is a barn built into an earthen bank. The hill of the bank allows access the ‘second’ floor where hay and feed are stored. 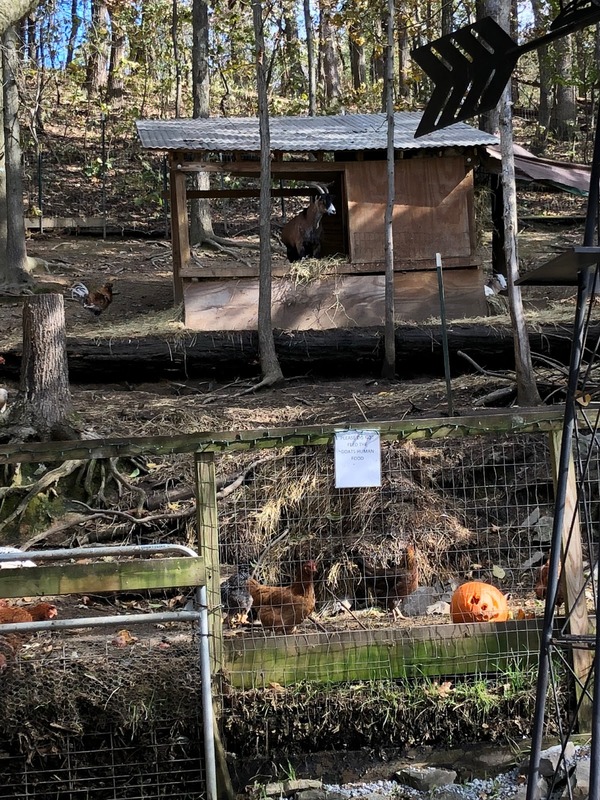 The animals are kept in the bottom floor barn area. The simple stone springhouse is the source of 3½ acre Nallin Pond. The barn and springhouse were built circa 1800. The Nallin Farm Springhouse and Bank Barn was listed on the National Register of Historic Places in 1977. Once the traction control was off, I may have put more miles on the fronts than the rear. heh heh. Ah - the old 8 ball. i used to work in the one of the buildings next to the 8 ball (bldg 571) - alot of the biological warfare buildings were converted to cancer research in the 70s. 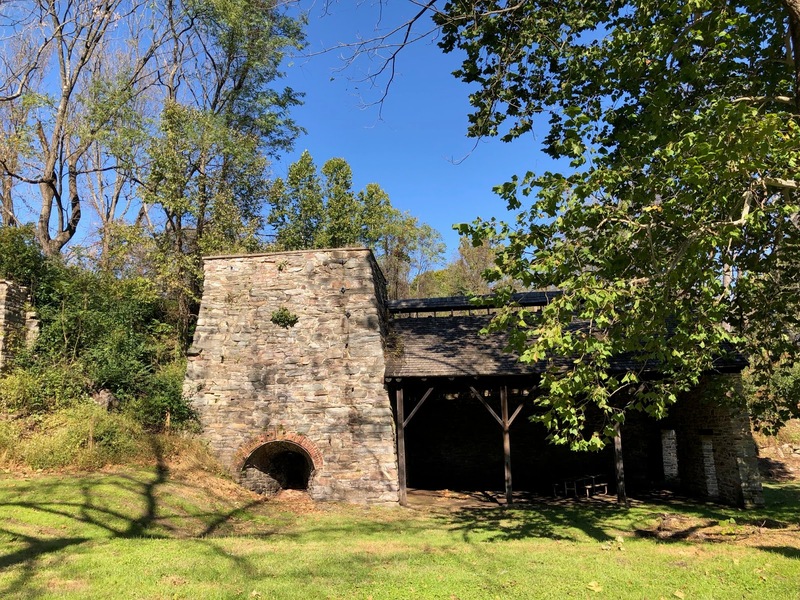 Catoctin Furnace was constructed in 1774 by four brothers Thomas, Baker, Roger and James Johnson to produce pig iron from locally mined hematite. In blast by 1776, the furnace provided ammunition (cannonballs) for the American Revolutionary War. Some sources state that it also provided cannon. The Johnson brothers owned the furnaces at the site at first collectively, and after 1793 singly, until 1811. Ultimately, three furnaces were built at the site, each named for the site. 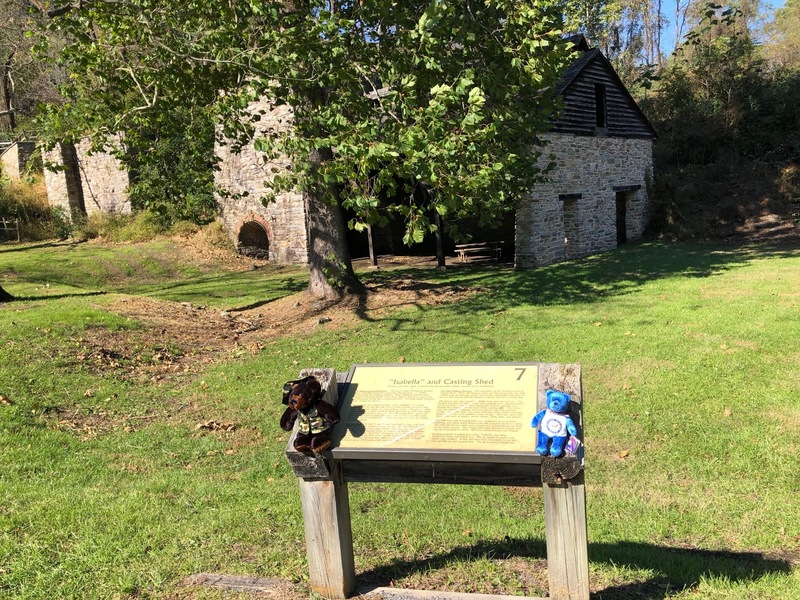 The first Catoctin Furnace was rebuilt a short distance away in 1787. The second, named Isabella was built in the 1850s by Jacob Kunkel (references give dates from 1853 to 1867). It still stands, within Cunningham Falls State Park. A charcoal iron furnace was a community of many skills. Some skills, such as woodcutting, were easily learned and relatively low paid. Other skills were more complex and represented knowledge passed on within the trade over many years. Among these skilled workers were the charcoal makers; miners who dug the iron ore and later, coal; founders who operated the furnace, and molders, who cast the hot iron into stoves, pots, firebacks, and other objects for sale. Most furnaces had a clerk who kept accounts and ran the store, and every furnace was headed by an iron master, whose financial, marketing, and managerial skills were needed to make the whole enterprise a business success. 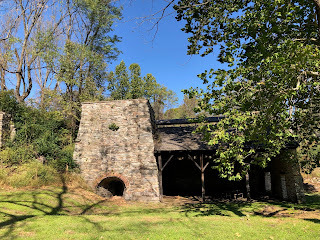 In 1973, the Catoctin Furnace Historical Society, Inc. was formed by G. Eugene Anderson, Clement E. Gardiner, J. Franklin Mentzer, and Earl M. Shankle to “foster and promote the restoration of the Catoctin Furnace Historic District…and to maintain the same exclusively for educational and scientific purposes…to exhibit to coming generations our heritage of the past…” The Catoctin Furnace Historical Society, Inc., celebrates, studies, and preserves the rich history of this pre-revolutionary industrial village, including the architecture, cultural landscapes, lifeways, and foodways of the workers. The furnace's remains are located in Cunningham Falls State Park. A walking-tour handout is available in the park's visitor center. 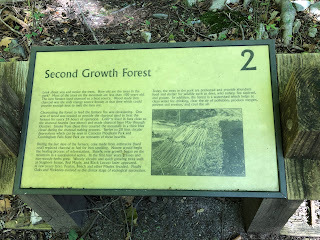 The walk is a simple 1/4-mile path that goes from the furnace site into Cunningham Falls State Park. A foot bridge gets you over the busy Rte 5 traffic. 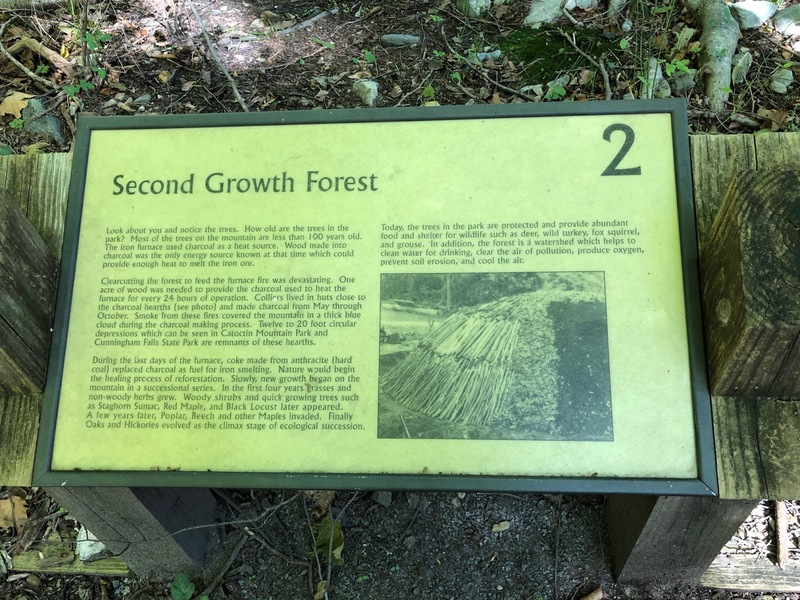 There are seven information tablets starting at Cunningham (#1) and ending at the furnace (#7) these tablets really provide no chronological information so the path can be started at either end. 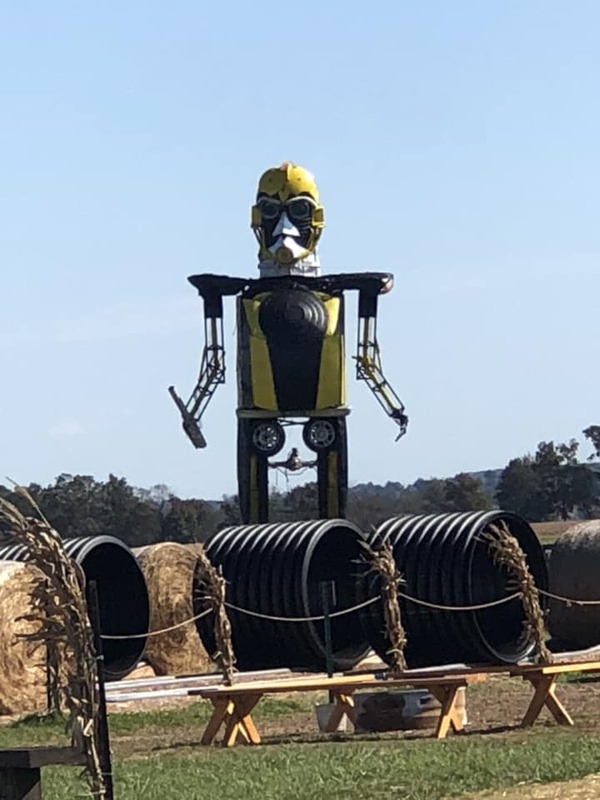 The Lawyer’s Winterbrook Farm in Thurmont, Maryland is not unlike a number of farms across America, except for the massive, junk-made 30-foot transformer robots standing sentinel at the entrance. 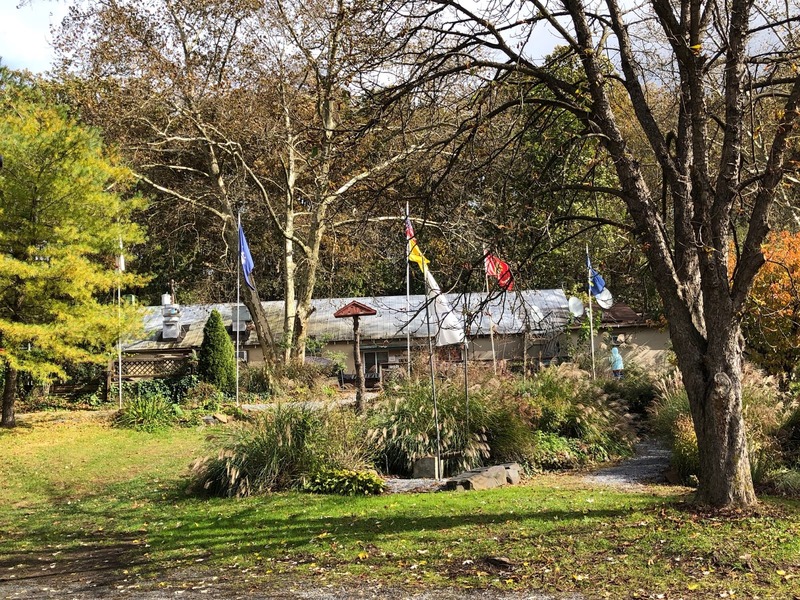 Driving by Lawyer’s Winterbrook Farm, one might be forgiven for thinking that they were passing by a homegrown sculpture garden instead of a farm, and in some ways, they’d be right. Winterbrook Farms is a second generation 327 acre farming operation that produces thousands of bales of hay every year. The primary focus is supplying local horse farms with top-quality hay. 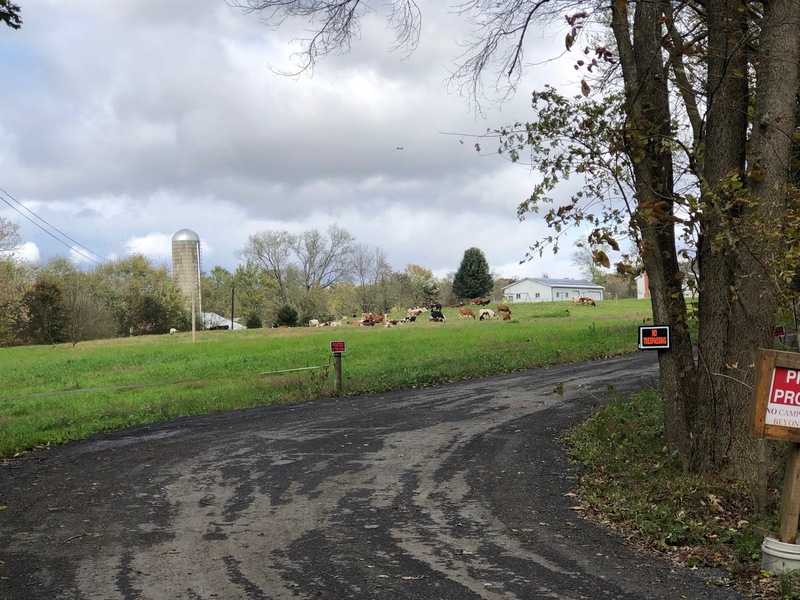 Looking to diversify and find another means of supporting the farm, Jan & Kristen Lawyer decided to start the area’s very first “Corn Maze” in the year 2000. It was cut by Jan Lawyer using a skid loader and it had a completely random and unique design. In 2001 Jan & Kristen decided to hire a small family company, called Mazeplay, to cut a design that would incorporate a map and checkpoints. This added to the “fun” of getting lost in the corn field. Now, over 18 years later, Mazeplay still returns to the farm each August to cut a new design into the field. 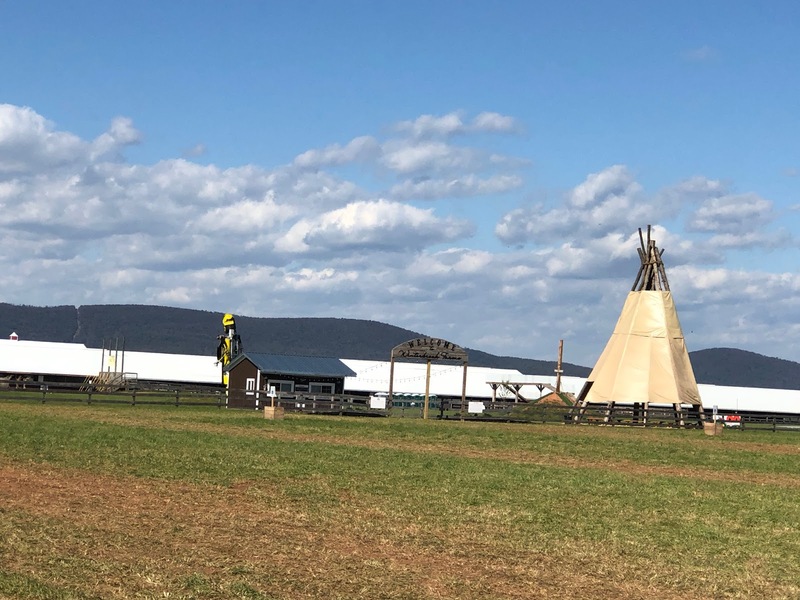 Winterbrook Farms is 1 of over 100 farms that Mazeplay travels to across the country and of all the mazes they cut, we are still one of the largest in the Country! The farm, which also grows both corn and pumpkins, and also offers visitors the chance to see their homemade pumpkin cannons, and take a stroll through the corn maze, which is newly designed each fall. You can even go pumpkin picking if you are so inclined. In honor of Jan, some of the proceeds go to the American Brain Tumor Association. In the continuing effort to add to my “preferred customer” grocery cards we decided to head to the Saveway in Middletown, MD. This proved both frustrating and interesting. It was frustrating because Middletown has begun the long anticipated Streetscape Project with the State Highway Administration. The town will be updated with new sidewalks, new pavement and gutters, landscaping down the entire Main Street (Route 40A) and a new water main. This is projected to be a two-year project. It was interesting because the downtown is lined with scarecrows. 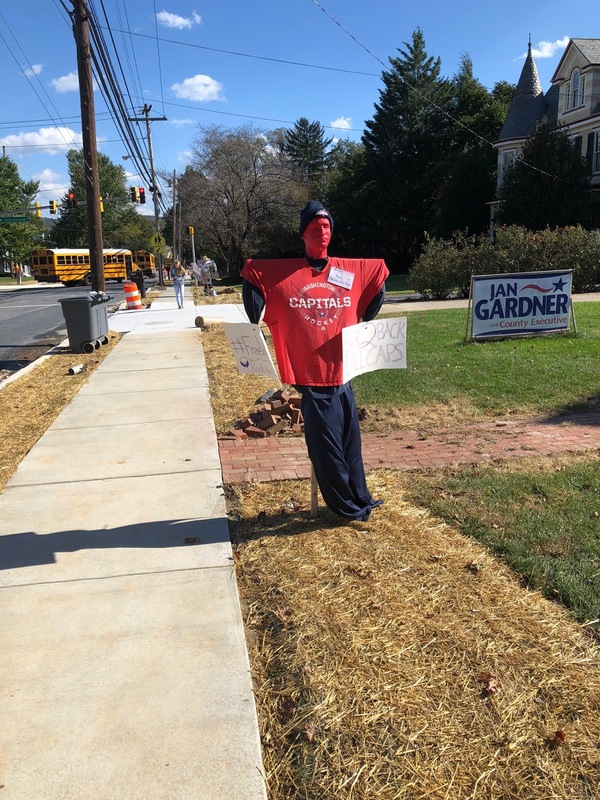 The town hands out scarecrow kits and then collects the assembled scarecrows for display on Main St. This year was probably a little tougher with tourist navigating the construction but it got our attention and we were able to park and take the walking tour. There are some very imaginative designs and it made a nice way to pass an afternoon. Being retired military I occasionally get to support those currently serving. Earlier in the week we were at Fort Detrick in Frederick and noticed signs advertizing an Army-Navy flag football game. I try to take advantage of any time I can get to root for the Blue & Gold. The flag football game was well organized and well attended for a noon Friday event. In true military fashion the all the pregame festivities were wrapped up, the anthem was played (FYI - no one took a knee) and the kickoff occurred exactly at noon. There were free burgers, brats, water and hot chocolate and someone even brought Bill the Goat decked out in his navy blanket and blue & gold horns! At half time there was a 4-man litter carry competition (Navy won) and a tug-of-war (Navy won). Except for a brief 13 – 2 Army lead, Navy controlled the game throughout and walked away with a 30 -3 victory, their third straight. It was nice to be there for a navy sweep of all events. DJS12354 and Nani2 like this. Tonight is our last night at Greenbrier, at least that’s the way it is planned. We are still waiting for one of Lori’s prescriptions to show up at general delivery. If it doesn’t show up tomorrow we will probably sortie over to the Hagerstown KOA. Greenbrier has let us know we do not have to be out until Wednesday (10/31). However, I know they are anxious to get the water secured do to the below normal temperatures and our leaving would help them speed it up. We could also disconnect and dry camp here but I’d prefer to stay on utilities since Assateague will put a strain on the batteries for a couple of weeks.. We were going to hold on to our issued equipment until Monday morning, especially since the host in the adjacent loop is a a single woman and she was concerned about being in the park alone. When she decided to turn in her gear tonight we followed suit. So tomorrow we will get the Flagstaff set to go on the road before we head to the Boonsboro Post Office. If Lori’s prescriptions are in we’ll hook up and head to Assateague – if not we’ll decide on plan B. Since this is ‘breaking camp day’ we go out to dinner. 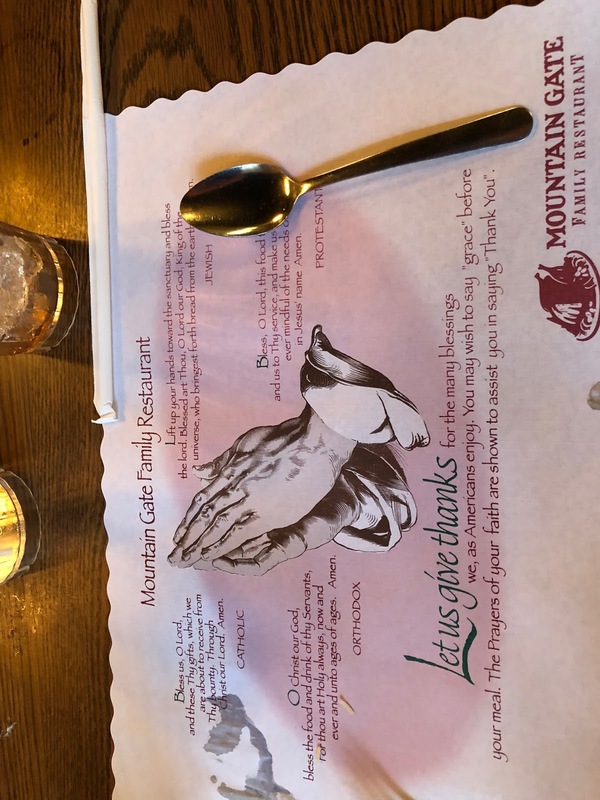 We have been eyeing Mountain Gate Family Restaurant. This is a huge place that accommodates tourist busses. There is a regular menu and a buffet that includes pork roast, roast, turkey, roast beef, and sirloin steak. We both decided on the buffet. You know you are in the south when you get to the dressing end of the salad bar and one of them is labeled ‘bacon’ – while not something I’d get all the time it was good. The other unusual thing about the restaurant was that the place mats had four versions of Grace on them. The buffet selections were diverse, though not always labeled but everything I got in three trips through the line was good. Orchid, DJS12354 and BillyMc like this. We did not get our expected mail today and Greenbrier needs to close to get the water and electric secured. We have a few choices with commercial campgrounds in the area. On the way to Greenbrier we ended up staying at Jellystone for a night. At $108 we decided to skip Jellystone in case we need to stay for a couple of days. We opted for Hagerstown/Antietam Battlefield KOA in Williamsport. As expected the 13 mile jaunt went without a hitch. Check in at the KOA was quick and friendly. The access to the KOA is deceiving; it cuts you through a narrow access road on private property before you actually get to the KOA. The turn in to the KOA gives you a ‘low class’ impression but once you hit the office the campground opens into a beautiful facility. 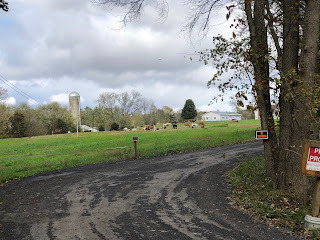 The campground is well maintained and bordered by a creek and a cattle farm. I explained to the hostess at check in that we were only planning one night but may need another, depending on the mail. She was very understanding and put a hold on our site for the second night. Our youngest son and his wife had come to visit us for the weekend so we overcooked a bit. I was planning to us the leftover meat from that dinner for sandwiches and heat up some store chicken tortellini soup we bought at Saveway. Lori voted for Cracker Barrel – so Cracker Barrel it is. Cracker Barrel has a new country fried turkey with green bean casserole and I gave that a try. It could use more gravy but it is definitely Cracker Barrel quality food. So It looks like it will be soup and sandwiches at Assateague. After getting back from dinner I discovered I had no water pressure. I check the pressure at the spigot and it is good. I check the pressure at the outlet of my back flow preventer and it is also good. I have good pressure at the connection to the Flagstaff – so what is the problem? I turn on the pump and I have pressure at the faucets. After doing several valve manipulations in the pass through and checking flows it dawns on me – I hooked the water up to the anti-freeze connection. 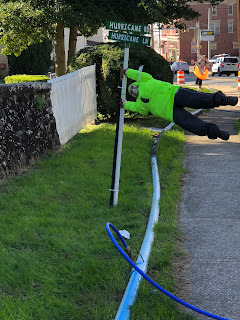 Do they put the antifreeze and the city water connection so close just to make me look this stupid! It could use more gravy but it is definitely Cracker Barrel quality food. Next time you're at Cracker Barrel on a Tuesday or Friday, try their Lima beans. They are so amazing and no matter how many copycat recipes I try, I can never recreate them at home. They are so good that sometimes they run out of them. We checked to see if our mail has arrived in Boonsboro but no joy. Since we are stuck – is that an accurate phrase since we are at a campground with full hookups and going to a campground with…? 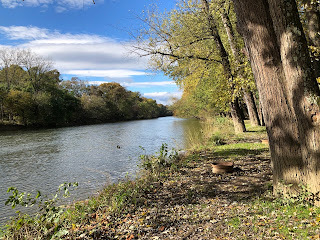 Since we are in Williamsport, on the border with West (By God) Virginia and close to the Potomac we decided to check out the C&O canal tow path. Williamsport has good access at Cushwa’s Brick, Coal and Fuel Oil, which is the location of the visitor’s center. While the Appalachian Trail gets a lot of press the C&O canal tow path is great hiking 180+ miles of hiking/biking trails with constant river views. The section here in Williamsport includes a lockkeepers house near an intact lock, and (conditions permitting) boat tours. The path at the visitors center is detoured because of an aqueduct repair project along the canal. We really are looking forward to returning to Greenbriar next year so we can spend more time exploring this area. While out-and-about in Williamsport we came across Doubleday Hill. Major-General Abner Doubleday (yes the inventor of baseball) was tasked with the defense of this part of Maryland after Virginia seceded from the union. Doubleday ordered the placement of three siege guns on this hill. We are still ‘stuck’ in western Maryland waiting on our mail. Tomorrow will be the tenth business day and that is supposed to be the limit for mail forwarding, though Lori (the pessimist) says we will get it Monday. 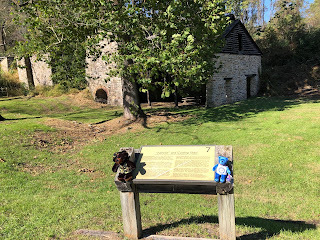 We did get to venture to Fort Frederick and to see some more of the C&O Canal. I’m thinking I would like to get a through hike in on the tow path but, at 184 miles, it is 6 days one-way though there are plenty of camp sites along the path. 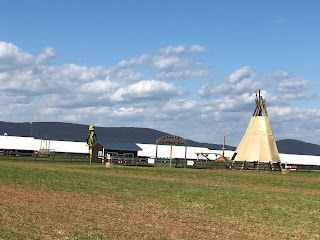 The downside to all this is that being at a campground on a day-to-day reservation means that you will get bounced around on sites. 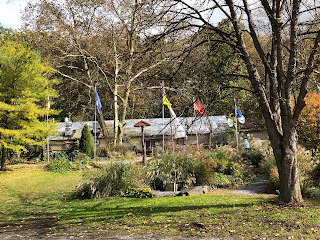 Hagerstown KOA has been very accommodating and we were on one site for the first three days. Today we got the word we were bumped as our site was reserved for a four-day weekend by a camping group but the hostess moved us to a site that was open through the weekend so we would not have to move if we get ‘stuck’ here a couple of more days. The site we were moved to is a ‘deluxe’ site (You get patio furniture at the site– I don’t see the big deal) and we are a bit closer to the creek so the view is much better. Because a front is moving through tomorrow they are predicting some heavy rain tomorrow and I’m thinking even if the mail is in that we stay the additional day to avoid driving through torrential rain. Sounds like a plan ‘C’ in the making. DJS12354 and JimmyM like this. Having dinner Friday at the Remember When Diner at Hagerstown KOA we decided we were tired of western Maryland. 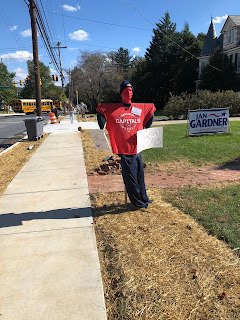 We have been waiting on a mail delivery to Boonsboro. So after a return trip to Remember When for breakfast Saturday we headed to the Boonsboro post office. The mail is still not here but, they were nice enough to say they will forward it to Berlin for us and that solidified our decision to hit the road. We pulled out of the KOA just before noon and by 5:30 had completed the 220-mile journey to Assateague National Seashore with just two quick breaks. Since it was late we did a quick set up and headed to Mione’s pizza in Ocean City – West. Mione’s is the go-to place because they have great pizza and they serve selected favorites ‘by the slice’ which allows us to each have something we like without the cost of a half-and-half pizza. For Lori and I Assateague is a dream campground. While it is dry camping there are wild horses on the island and they freely roam through the campsites. We decided to book two-weeks here. This should give us enough time to get the mail from Boonsboro as well as schedule 30,000 mile maintenance on the RAM. I may also get a hold of Island Breezes RV repair and see if I can get than cheap plastic toilet replaced. We made it out to the Berlin post office today and found that the items we were waiting for in Boonsboro were actually here. The reason for the confusion – items from the same address (the pharmacy) that arrive at the mail forwarding service are only identified as items from the pharmacy. Because of privacy laws the mail forwarding service does not open packages. They will open mail and scan then post the image so you can determine what you want to do with the item. The downside is that we delayed our adventure a week waiting on mail that we thought was important but, in actuality was not. Live and learn – we will now take certain mail and have it forwarded as traceable so we are not stuck in the waiting game. While we were out and about we hit the local visitor’s center for postcards and then found the local Ram dealer to schedule 30,000 mile maintenance. The service advisor said I could get an appointment tomorrow and quoted me the price. The look on my face must have given him some concern because he started to explain, in great detail, everything that went into the maintenance. I didn’t want to tell him that I was shocked because in Connecticut it would take about two weeks to get an appointment and the same service is twice as expensive. So the two weeks that I booked here at Assateague was more than enough to accomplish the mission. Now to start planning the trip south – and then west. Also dealing with the congested traffic patterns (See top photo) along with all the unexpected company. I think my biggest problem will be finding a place to stay since the snowbirds will begin eating up spots pretty quickly. Fortunately we are set to dry camp (no water or electric hookups). I have the solar on the roof which charges the battery. I have my generator to run the percolator and the toaster (though not at the same time) and I have a 40 gallon bladder to get water from any spigot to my fresh water tank. I’m confident we can pull this off. DJS12354 and BillyMc like this. That pops up on my FB often. It will not allow popups but is an option for pudge. Thanks for the tip. I know people who do that. Usually only good for a night or two (we host in places where we want to hang awhile and most state parks (read inexpensive camping) have a two week limit). Additionally at Harvest Host it is implied that you will buy their product. (some of that farm/winery stuff is pricey).